That was until Leicester City did Manchester City a huge, huge favour. 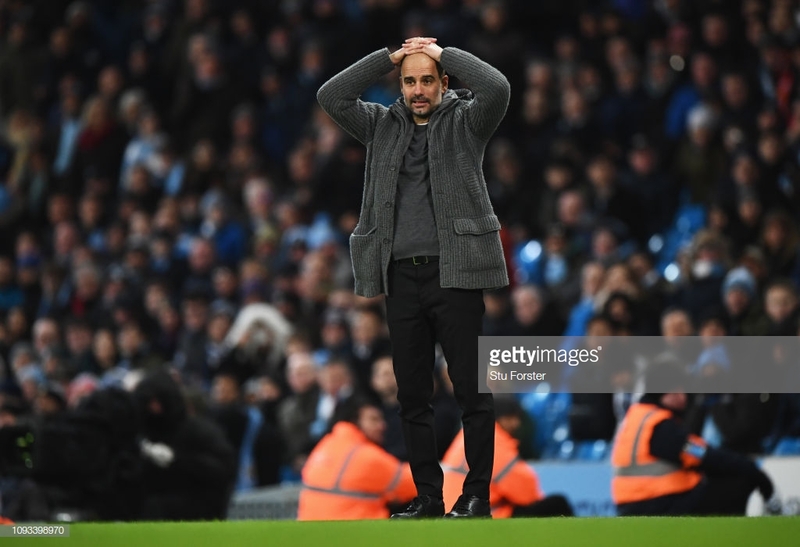 Pep Guardiola has admitted he was one of many that presumed the Premier League title race was 'almost over' following Manchester City's shock 2-1 defeat at Newcastle United on Tuesday. Matt Ritchie's late penalty succumbed City to an unexpected set-back and gave Liverpool the chance to extend their lead at the top-flight summit to seven points. However, Harry Maguire popped up with a goal to earn Leicester City a 1-1 draw at Anfield and made sure Jurgen Klopp's side only gained one point on the champions. Along with the vast majority of the nation, Guardiola expected Liverpool to get the job done and move one step closer to a first Premier League trophy. Speaking after City's 3-1 victory over Arsenal at the Etihad Stadium on Sunday, he said: “After Newcastle, [it was like] we had already lost the Premier League. Everybody said it would be seven points and today we are two [behind]." “After the Newcastle game everybody was convinced, myself too, that Liverpool were going to beat Leicester and it would be seven points and it would be almost over," Guardiola made sure to state. Sergio Aguero scored his 17th hatrick for the club and Raheem Sterling provided two assists on his 300th club career appearance as the Citizens closed the gap on their title rivals to just two points. Liverpool have a potentially tricky test in store tomorrow night in the capital, with 12th-placed West Ham United awaiting at the London Stadium. The Hammers have already defeated Arsenal and Manchester United on home soil this season, and took points from Chelsea, so the Reds will have to be at their best if they are to send a message back to City. Sky Blues boss Guardiola will take plenty of confidence from his outfit's commanding performance against the Gunners though, and regardless of tomorrow's result it's clear City won't let up without a fight.